Design systems aren’t just a trend. They’re a best practice for design consistency and efficiency between designers and developers. Before, only large companies could afford the effort of building and maintaining a design system. But with the growth of new tools and processes, design systems are much more feasible for companies of all sizes. Between Feb. 13 and 16 this year, UXPin is hosting the largest design systems event in the industry. 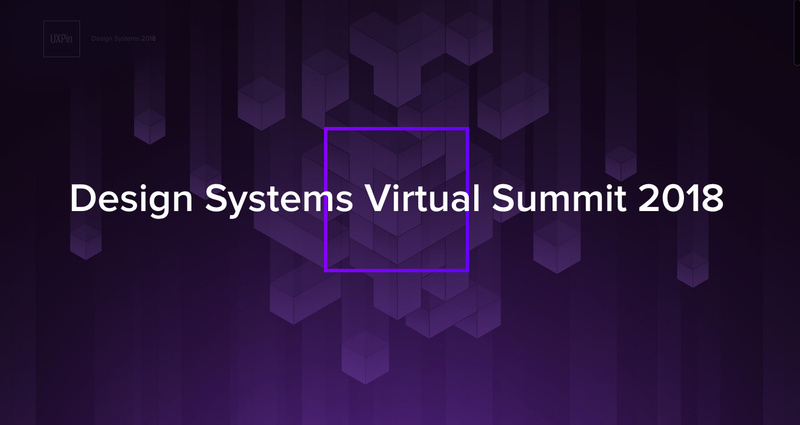 Design Systems Virtual Summit 2018 is online and free thanks to sponsorship from Atlassian and Salesforce. They’ve invited 15 experts from companies like Atlassian, Airbnb, Salesforce, Linkedin, Zendesk, GE Digital, IBM, and more. Each speaker will share lessons learned from projects and case studies. How to assemble a design systems team and technology stack. How to identify and resolve design inconsistencies. Where design systems should be consistent or flexible and how to adapt tools and technology to balance both. How to avoid vague design principles. How to sustain consistency across products and interface targets (Android, iOS, VR, or even Natural Language interfaces). How to build a design systems backlog, governance model, and ROI tracking. How to unify design with code. How to close knowledge gaps between designers and developers. How to sell a design system to designers, engineers, and stakeholders.